Firming movement dual (double motor) is a excessive-performance slimming and massager belt that utilities palpitating moves so as to slender and tone distinctive parts of the frame.This is an appropriate slimming belt. The width of the belt gives complete coverage to the belly vicinity and the double automobiles does all the effort in burning the greater fat that is then removed via the lymphatic machine. This belt also promotes true digestion and a clean complexion by improving the capacity of your body to take in nutrients. It is slight warmth diffusion function helps to stimulate blood circulate whilst firming and treating all main muscle businesses which results in advanced sports activities agility, weight loss, fat burn and a healthy frame.Be it for the clinical use or health reason, this motor rub down belt is a great accent with which you can take away maximum of your problems of weight reduction and metabolic troubles. 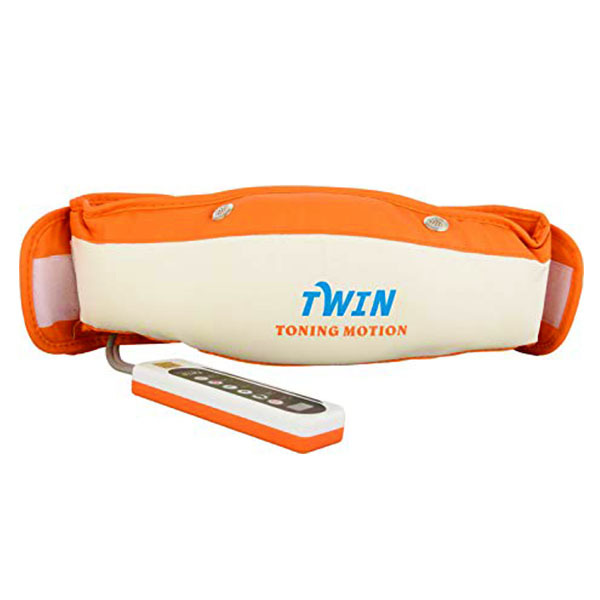 Twin Toning Motion Belt burns fats, lose weight and simplicity muscle pain. Quality suitable for stomach, waist, again and hips. Adjustable temperature to beautify metabolism. Physiotherapy and improves mobility. May be used as a massager. Improves mobility. Mild weight & smooth to use. Portable and comfy to use. Push up bar functions:- fabricated from high excellent metallic tube, long lasting. Grip manufactured from anti-skid sponge, comfortable feeling. Builds and tones the pectorals and triceps extra correctly than push ups. Through utilizing the push up stands, you get a more variety of movement, thereby improving you top body workout. Can split, they’re without difficulty stow in a bag at some point of journey.